For many of us, our social networking connections have spun out of control. 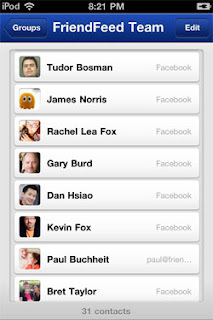 On sites like Facebook and Twitter, we measure our words as for the most part, every update we make goes to everyone. While Facebook has options similar to Google+'s Circles, only a small number of people takes the time to organize their friends, and then uses these setting to communicate in small groups. It's just too hard and too complicated. Katango, a small startup in Palo Alto, funded as part of Kleiner Perkins' sFund, hopes to take the pain out of this maintenance, and automatically make these groups for you, on the back of sharp artificial intelligence. 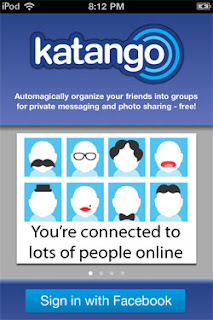 Yoav Shoman, a Stanford professor, hopes that Katango will help provide an experience that helps users interact with each other more efficiently with friends online. Yee Lee, vice president of product, formerly of SGI and Applied Materials, teamed up with Shoman and a few others to derive sense of the mess we've created for ourselves. 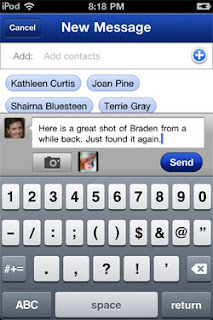 They are starting with an iPhone app that mines your Facebook social graph for similarities and shared connections, and in seconds, shows you suggested groupings of your friends, which is extremely accurate and needs only small manual retouching - saving you hours of time that you probably weren't going to spend anyway. Like me, both Yoav and Yee found themselves pruning their Facebook social graphs because the mass had grown unwieldy and they ran into what they called "communication friction", solvable if the social graph could be accurately mapped, enabling you to send messages to a subset of your contacts with shared interests or links. "We love Facebook, but we don't want to share everything to everyone," Yoav told me in a face to face meeting at their headquarters last month. "People are aware of groups and lists, but don't want to create them." The goal, at least at the first pass, is to quickly organize your social life, and eliminate these friction points that have people reaching for the Unfriend button - essentially delivering a social platform for social algorithmics, simplifying your network. In my testing at their HQ, as well as on their iOS app, which is now live on iTunes, the application's capability to distinguish how networks were grouped was tremendously savvy. It managed to separate church members who I attended with before I was married from those where I attended after I was married, thanks to their links and other clues such as listed hometown. It was able to divine which of my social connections on Facebook came after we had first met on FriendFeed, and even more amazingly, practically made a dedicated group in the application of the actual FriendFeed staff and their spouses - something I wouldn't even have considered. Surely, the app isn't completely infallible. It accurately found all members of my family with whom I share links on Facebook, but also added my best friends from high school and their significant others, who might be surprised to find they are now in my extended family tree. 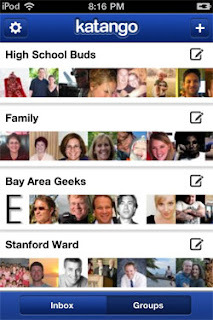 It also put a few top social geeks from external geographies as living in the Bay Area, when that's not the case. But in seconds, the app delivered something like 95% accuracy where I've been living closer to 0%, and from the iPhone app, I can now tailor messages and shares just to these groups on their own without hitting my entire network. My 0% solution is pretty much the norm for most Facebookers, Yoav argued, comparing the gulf between what is and what could be to the early days of the Web. "It's Yahoo! and Google all over again," he said. "Yahoo! was curating the Web by hand and Google made the algorithm. We are still in the manual phase of social." Katango launches with the background hubbub around Google+ and its manual circles having launched just in the last two weeks. One of the service's major differentiators against Facebook is the option to group people and communicate against these smaller lists. Katango now reduces that gap, and might be a good fit inside a company that wants to help its users eliminate the manual process which has so far stopped most of them in its tracks. You can find Katango on the iTunes store here. An Android app is surely coming, but they want a little love from Steve Jobs and team in Cupertino by being exclusive on iOS first.